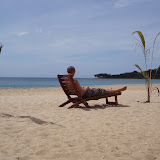 Published on 21/06/2010 in Blogs, front page, people, surf, Surf competition, Surf Federation News and Traveler's Reports. 1 Comment Tags: Arugam, Arugam Bay, arugam bay main point long runs, arugamsurf, competition, Surf Contest. Free again and never let it be said that wea? ?re just here on a bit of a jolly. Sarah and I have been fairly occupied for the for the past week with various bits and pieces that we offered to do at Arugam Bay Purchase ditropan 5mg Buy forzestril Surf Club, but ita? ?s amazing how much more you enjoy work when you actually volunteer to do it.A? Saraha? ?s had her organisational hat on, producing documents, letters to whom it may concern and a coherent application form for the club as they make a bid for credibility ahead of the establishment of the Sri Lankan Surfing Federation. Ita? ?s been an interesting process and the rivalry between some of the clubs on the island has been palpable at times. Ia? ?ve been largely waving a video camera around, doing a little voice coaching and editing a short package about the club, which they could use for promotional/fund raising. Some of that has involved wearing fins and getting pretty close to some exceptionally good local surfers, who have been competing to take two spots in the World Qualifying Series. The WQS arrived around 3 days ago, some 130 surfers from around the world and their groupies. Ita? ?s probably the biggest thing thata? ?s happened to Arugam Bay and ita? ?s been actually a fairly emotional time, watching the surfers that wea? ?ve worked closely with every day, test their mettle against some of the worlda? ?s best. Therea? ?s such a brilliant vibe around the place at the moment, with everyone coming out to support the local surfers. Two guys carried the cluba? ?s main hopes for success, Asanka and Milan, who emerged as the best of the local boys after the heats to decide who took the two wild card entries into the WQS. I was lucky enough to be handed a nice camera with a big zoom by Tim, a surfer from Devon, who has been working with the boys to ensure they could focus on surfing during the event. I spent two fantastic days snapping some the guys as they pulled off some incredible moves. Sarah was on the judges stand, compiling the scores to decide who progressed through the heats and gleaning professional judging skills, which are sure to come in handy. In the event the local boys equipped themselves really well. Asanka and Milan won the local competition, taking them through to compete with the big boys and each of them demonstrated the distinct advantage of surfing a home wave day in and day out. Milan was cool and confident under the enormous pressure of being in such a huge event and performed exceptionally well. While Asanka showed why he is Sri Lankaa? ?s number one surfer, beating one of the WQS boys, who surf for a living, touring the world, into third spot in his heat. Each of the boys are basking in glory and took home around $500 for their trouble, a significant amount of money where the average daily wage is around $8. While all this was going on we also have been playing host to Sarah and Adam who came to visit. They brought with them a huge bag of treats and struggled to fit all our requests in, but it was really appreciated. 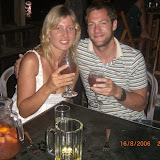 My concern is that they have discovered a pretty different Sarah and Stu. Ia? ?m not suggesting for a moment that wea? ?ve gone all Heart of Darkness, but wea? ?re up at dawn and wea? ?re struggling to stay awake beyond 2130. Party animals wea? ?re not. Our house is in the middle of a village, Savodaya Puram, where nobody speaks English and overlooks a dramatic scene of lagoon and wilderness. Our daily dawn surf at one of our favourite points and a stop in at the local market in our tuktuk for fresh fruit on the way back completes a pretty uncluttered daily routine. Therea? ?s lots of people to speak to in Arugam, and we frequently stop in and chat for hours with some of the people that I think we can begin to call friends. And Ia? ?m losing the tendency towards a horrible habit that I used to have in London: pulling away from strangersa?? attempts to be friendly for fear that I would not be able to extract myself later on, so a??preciousa?? was my time. The things that I classed as priorities arena? ?t so much anymore. Things dona? ?t get done in a hurry and attempts to do so are met with confusion. People like to stop and smell the flowers, enjoy a coffee, sit and chat by the side of the road, pick their nose, swim with their family, whatever. Ita? ?s 1230pm on a Sunday and Saraha? ?s enjoying a siesta. The tuktuka? ?s playing up a little, wea? ?ve no gas bottle to cook with in our kitchen yet, I need to get my camera fixed and we need to start to think about renewing our visas. But that can wait until tomorrow, Ia? ?m busy enjoying my book today.